Mowlana Sultan Mohamed Shah was appointed as the Vice Chancellor of the Aligarh University. March 13, 1921 - Mowlana Sultan Mohamed Shah delivered a speech at the farewell luncheon to Lord and Lady Reading. Source: "The Times", London, 14 March 1921. November 8, 1921 - Paris: Mowlana Sultan Mohamed Shah sent a letter to "The Times" regarding making peace with Turkey, printed 12 November 1921. The address from Paris is not known. 1921 - Bombay: Mowlana Sultan Mohamed Shah wrote the foreword to H.P. Mody's biography of Sir Pherozeshah Mehta, called Remembering Sir Pherozeshah Mehta. June 21, 1922 - Mowlana Sultan Mohamed Shah wrote an article for "The Times", London, 10 October 1922 from The Ritz Hotel, Piccadilly, London, where the Aga Khan normally stayed on his short visits to London. December 15, 1922 - Mowlana Sultan Mohamed Shah gave an interview with "The Times of India", Bombay, 16 December 1922. "The Civil and Military Gazette" also carried the interview on the same date. Mowlana Sultan Mohamed Shah was awarded with the title of G.C.V.O -Knight Grand Cross of the Royal Victorian Order. Mowlana Sultan Mohamed Shah visited Deauville in 1923. February 1923 - Mowlana Sultan Mohamed Shah visited the Jamat of Rajkot between February 6th and February 14th 1923. March 14, 1923 - Mowlana Sultan Mohamed Shah while interviewed by the Associate Press, replying to the question as to whether the British Government considered the revision of the Indian Constitution possible or necessary before the expiry of the statutory period, said that the British were practical people not impressed by tall talk or big words. They would be impressed by the use Indians made of the Reforms... ( 748) Full text: "The Civil and Military Gazette", Lahore, 17 March 1923. April 7, 1923 - Mowlana Sultan Mohamed Shah gave an interview with "The Times of India", Bombay, it was also reproduced in "the Civil and Military Gazette" of 10 April as circulated by the Associated Press of India. July 27, 1923 - Mowlana Sultan Mohamed Shah sent a message from Lausanne, regarding the Treaty with Turkey. October 23, 1923 - Mowlana Sultan Mohamed Shah wrote an article "The New Muslim World" which was printed in "The Edinburgh Review", Edinburgh, in October 1923. It talked about the positive response to the Treaty of Lausanne in the Muslim world, the historical perspective on relations between the Muslims countries and Europe during the last 150 years, how other Muslims states may not likely be hostile towards Europe, aspirations of modern Islam, the Muslim and Arab states and other important topics. Council State of India recommended Mowlana Sultan Mohamed Shah for the Nobel Peace Prize, the first time ever in the history that a Muslim had been nominated for such an award. This was a unanimous resolution in India's Council of State to make His Highness Sir Sultan Mohamed Shah Aga Khan G.C.S.I., G.C.V.O., LLD to be a proper person to be awarded the Nobel Prize for Peace in view of the strenuous, persistent and successful efforts that His highness has made to maintain peace between Turkey and the Western Powers since the Armistice..."
1924 - Mowlana Sultan Mohamed Shah's horse, Diophon, won for him the first classic race - the Two Thousand Guineas. April 13, 1924 - Mowlana Sultan Mohamed Shah wrote an article which was printed in "The Sunday Express," London and a summary of the article was also published by "The Civil and Military Gazette" on April 14, 1924. March 1925 - Mowlana Sultan Mohamed Shah visited the Jamat of Dar-es-Salaam from March 7th to 8th. August 3, 1925 - (Aix-les-Bains) Mowlana Sultan Mohamed Shah sent a letter to "The Times" London, wherein he expressed his views on Lord Milner "Credo". He talked about the Indians and how they are proud of their culture, the development of international peace and arbitration, the League of Nations, and other important issues. December 8, 1925 - Mowlana Sultan Mohamed Shah wrote an article "How to live Long" which was printed in "The Evening Standard," London. This two column article was signed by Mowlana Sultan Mohamed Shah and also carried his photograph. January 1926 - Mowlana Sultan Mohamed Shah visited the Jamats of Mumbai, India between January 22nd and January 31st. January 9, 1926 - Mowlana Sultan Mohamed Shah gave an interview which was published in "The Times of India," Bombay, wherein he talked about the anxiety about the economic situation in India, the unsatisfactory state of Indian industries, the need for a policy, the Japanese competition, the almost breakdown of the textile industry and the danger of India becoming a purely agricultural country. March 1926 - Mowlana Sultan Mohamed Shah visited the Jamats of Kenya and Tanganyika between February 26th and March 30th. March 24, 1926 - Mowlana Sultan Mohamed Shah during an extensive trip to East Africa made a speech and also laid the foundation stone at a mosque in Nairobi. December 2, 1926 - Princess Theresa Magliano, second wife of Mowlana Sultan Mohamed Shah and the mother of Prince Aly Khan, passed away. She was a well- talented sculptor, widely known in aristocratic circles of Europe under her professional name of Yla. Mowlana Sultan Mohamed Shah attended the Doncaster Sales with Lord Carnarvon, in 1926. December 10th to 30th 1927 - Mowlana Sultan Mohamed Shah visited the Jamats of Mumbai, India. June 17, 1928 - Mowlana Sultan Mohamed Shah sent a message to the East India Association from Paris regarding the future of the mill industry in Bombay. The full report and text was printed in "The Times of India", Bombay, June 19, 1928. December 31, 1928 - Mowlana Sultan Mohamed Shah presided at the All-India All Parties Moslem Conference in Delhi and a grand reception was given in his honour. Mowlana Sultan Mohamed Shah also gave the Presidential address wherein he talked about the future of the Muslims in India, the importance of unity between the nation and also touched on the topic of the slaughter of cows. Mowlana Sultan Mohamed Shah had an occasion to broadcast a talk to the United States of America on the claims and aspirations of Indian Muslims. He said, "Indian Muslims want something that will save them and their ideals from being submerged. They ask for an adequate share in the Federal Legislature, and also in the Federal administration of India, and they claim self-determination, as well as fully autonomous administrations, for all racial and linguistic areas and particularly for those areas which have a majority Muslim population." May 1, 1929 - Mowlana Sultan Mohamed Shah gave an interview to the Daily Express in Nice, and discussed the Simon Commission, the Hindu-Muslim relations, solution to the problem of poverty in India and also paid a tribute to King George V. The interview was printed in "The Times", London on November 7, 1929. Mowlana Sultan Mohamed Shah married Mlle. Andre Carron , the mother of Prince Sadrudin, at Aix-le-Bains, France. * January 16, 1930 - Mowlana Sultan Mohamed Shah wrote a letter regarding the position of India's Muslims, the All India Conference of 1928, and proposed a separate federal electorates for the Muslims, reforms in the North-West Frontier Province and Baluchistan, and Sind as a separate province. This letter was printed in "The Times", London on January 18, and was received from Antibes, France. London: Mowlana Sultan Mohamed Shah was elected as the Chairman of the British-Indian section to the Round Table Conference. He was also the leader of the Muslim delegation which included M.A. Jinnah (later to be creator of Pakistan) and the Quaid-e-Azam or Sir Mohammad Zafrullah Khan. The inaugural session held at the House of Lords was presided over by King George V.
November 21, 1930 - Mowlana Sultan Mohamed Shah attended the Round Table Conference in London, and was asked to make a speech. In this speech, he talked about almost all the important views that were already expressed, the unanimity on self government, and he also gave assurances to the British commercial interests and also talked about establishing a federal scheme that would lead to full self-government and responsibility. Mowlana Sultan Mohamed Shah's horse Blenhein won the 1930 Derby. This was his first Derby winner, ridden by H. Wragg and given odds of 18 to 1. The British Royalty warmly congratulated Mowlana Sultan Mohamed Shah on winning the greatest of races. December 1, 1930 - Mowlana Sultan Mohamed Shah gave an interview with W.R Titterton of the "The Daily Herald" in London and he talked about his interest in horses, his personal concern for India and its welfare, he regarded himself as the citizen of the world, and other interesting topics. 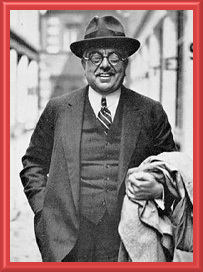 September 27, 1931 - Mowlana Sultan Mohamed Shah gave a Radio Broadcast Address to the United States of America which was printed in The Times of London. November 11, 1931 - Mowlana Sultan Mohamed Shah made the famous speech "If I were a Dictator" which was broadcast from the BBC radio of London. November 12, 1931 - The second Round Table Conference was held in London, England which was to discuss Indo-British relations. Mahatma Gandhi represented the Congress of India and had the first meeting of the Conference in the room of Mowlana Sultan Mohamed Shah at the Ritz Hotel. February 19, 1932 - Mowlana Sultan Mohamed Shah addressed the Disarmament Conference at Geneva, Switzerland in his capacity as Delegate of India to the League of Nations at the fourteenth meeting. He said, "The basis of all security is a foreign policy rooted in mutual goodwill and cooperation; a foreign policy in which no country covets its neighbour's possessions or seeks to infringe its moral and spiritual rights." In 1932 Lady Alyshah visited England. Large crowds of people had come to see the "mother of the great and distinguished man." She received an audience by the late King George V and Queen Mary at Buckingham Palace and the title of the Imperial Order of the Crown of India was bestowed upon her. She was also awarded the Jubilee Medal at the time of the King's Silver Jubilee. January 17, 1933 - Prince Sadrudin was born to Princess Andree Carron, third wife of Mowlana Sultan Mohamed Shah, in the American Hospital at Neuilly, outside Paris. February 2, 1933 - Mowlana Sultan Mohamed Shah addressed the Third Disarmament Conference of the League of Nations at Geneva in his capacity as the Delegate of India. He remarked that in Asia, all sections of society were convinced that in science and invention, Western culture had reached a far higher standard than Asians, but the peoples of Asia did not admit any superiority in the West in the realms of spirit and morals. December 1933 - Mowlana Sultan Mohamed Shah visited the Jamats of Mumbai, India various times between December 15th and December 31st. January 1934 - Mowlana Sultan Mohamed Shah visited the Jamats of Mumbai, India various times between January 1st and February 22nd. March 13, 1934 -Mowlana Sultan Mohamed Shah visited the Jamat of Rangoon, Burma. April 1934 - The Third Round Table Conference, known officially as The Joint Select Committee, assembled in London to discuss the future of India. September 27, 1934 - Mowlana Sultan Mohamed Shah addressed the Assembly of the League of Nations (15th session) at Geneva in his capacity as the First Delegate of India. He remarked on the entry of Afghanistan as a member, "To a Muslim like myself, it is no small thing that another Islamic nation is today entering the League, for I am convinced that her entry will strengthen the League in far greater measure than the number of her subjects..."
Mowlana Sultan Mohamed Shah also became the Privy Councillor to His Imperial Majesty. January 1935 - Mowlana Sultan Mohamed Shah visited the Jamats of Mumbai, India various times between January 8th and February 26th. August 17, 1935 - Mowlana Sultan Mohamed Shah celebrated 50 years of Holy Imamat. Ismailis around the world began preparations for Golden Jubilee and the ceremony of weighing the Holy Imam in gold was held in Bombay. The Golden Jubilee celebrations were however interrupted in January 1936 upon the death of King George V. Mowlana Sultan Mohamed Shah sent a message to Ismailis in which he said, "I am deeply touched to hear the terrible news of the death of the King-Emperor. I have decided to stop all activities in connection with My Golden Jubilee celebrations..."
September 13, 1935 - Mowlana Sultan Mohamed Shah addressed the 16th session of the League of Nations at Geneva in his capacity as the First Delegate of India. He said, "A wise man learns from the past; he does not let the past master him. Let us not shrink from recognising the realities in us and around us..."
* Prince Aly Khan married Joan Yarde-Buller (Mrs. Loel Guinness) in Paris. The wedding took place at the Town Hall followed by a religious ceremony in the Paris Mosque. She was later known as Princess Taj-ud-Doulah and was the mother of Prince Karim (our 49th Imam) and Prince Amyn. September 29, 1936 - Mowlana Sultan Mohamed Shah addressed the 17th session of the League of Nations, Assembly at Geneva in his capacity as First Delegate of India. He said, "...change is the very essence of life. If the League is to be a living organism, it too must change, or like all living organisms, perish." Mowlana Sultan Mohamed Shah's horse, Mahmoud (100 to 8) won the Derby with his other horse, Taj Akbar, coming in second (6 to 1). This was a third Derby win for Mowlana Sultan Mohamed Shah. February 1937 - Mowlana Sultan Mohamed Shah visited the Jamats of Dar-es- Salaam various times between February 1st and February 15th. March 1937 - Mowlana Sultan Mohamed Shah visited the Jamat of Mombasa and Nairobi, Kenya various times between January 19th and March 10th 1937. Golden Jubilee Celebrations in Africa were held in Nairobi for Mowlana Sultan Mohamed Shah where Mowlana Sultan Mohamed Shah was weighed against gold. September 12, 1937 - Prince Amyn Mohammed, the second grandson of Mowlana Sultan Mohamed Shah, was born to Prince Aly Khan and Princess Taj-ud-Doulah. His name had been chosen by Lady Aly Shah, mother of Mowlana Sultan Mohamed Shah. September 13, 1937 - Mowlana Sultan Mohamed Shah addressed the League of Nation's Assembly in his capacity as President. He said, "With warmth of feeling at heart than I can bring to my lips, I thank you. You have done India, my country, a great honour and my delight is undisguised." September 24, 1937 - The "Sind Sentinal" wrote an article upon the election of Mowlana Sultan Mohamed Shah as President of the League of Nation, "The news of the election of His Highness the Aga Khan as the President of the League of Nations...by a handsome margin of 42 out of 49 votes cast must be hailed with delight throughout India and beyond." October 1, 1937 - On the election of Mowlana Sultan Mohamed Shah as President of the League of Nations, the "Ismaili Aftab" wrote; The Aga Khan has said, "Light comes from the East." We know for certain that the League's ideals would most be glorified by the Divine Light - H.H. The Aga Khan - the League has found from the East. October 6, 1937 - Mowlana Sultan Mohamed Shah made a Presidential Review at the Adjournment of the 18th session of the League of Nations at Geneva. He said, "The tribulations of one people are the tribulations of all. That which weakens one weakens all. That which is a gain to one is surely a gain to all. This is no empty ideal..."
Autumn 1937 - Mowlana Sultan Mohamed Shah again met with Adolf Hitler, Chancellor of Germany, in Berlin. At that time Hitler claimed that Germany had a moral claim to Tanganyika because African soldiers had fought on the German side during World War I. Mowlana Sultan Mohamed Shah wrote later, "I went to Germany as a private individual...When Herr Hitler invited my wife and myself to tea at Berchtesgarden, his Bavarian home, we did not discuss politics in any shape or form...I pray for the day when Germany will return to the League of Nations." November 1937 - Mowlana Sultan Mohamed Shah visited the Jamats of Mumbai, India various times between November 25th and December 30th. January 1938 - Mowlana Sultan Mohamed Shah visited the Jamats of Mumbai, India various times between January 1st to January 19th. January 4, 1938 - Mowlana Sultan Mohamed Shah granted an interview to N.M. Budhwani, the author of "The Aga Khan and the League of Nations". Mowlana Sultan Mohamed Shah was very pleased that Mr. Budhwani had published the speech "If I were a Dictator" and asked him to publish all the speeches made by the Holy Imam at the League of Nations. February 5, 1938 - Lady Aly Shah passed away in Baghdad at 5:15 pm. She was buried at Najaf the next day near the tomb of her husband, the 47th Imam, Aga Aly Shah. Mowlana Sultan Mohamed Shah was deeply affected by this loss and in a writes a letter to a friend. April 19, 1938 - Prince Aly Khan wrote to N.M. Budhwani regarding the title he should choose for the book he was writing about Mowlana Sultan Mohamed Shah and his work at the League of Nations, "The Aga Khan and the League of Nations" might be a good title for the book you have in mind, though any other title..."
His Royal Highness Prince Aga Khan III presided at the Convocation at the Aligarh University where he made a strong plea for the establishment of a scientific, industrial and technical research institute. He said that it would require a crore of rupees. They should collect Rs. 90,00,000 while he would contribute Rs. 10,00,000 (10 lakhs). Mowlana Sultan Mohamed Shah and Begum Andree attended the Epsom Derby in 1938. December 1938 - Mowlana Sultan Mohamed Shah visited the Jamats of Mumbai, India various times between December 14th and December 27th. January 1939 - Mowlana Sultan Mohamed Shah visited the Jamats of Mumbai, India various times between January 2nd and January 30th. The occasion was a tea party given in honour of His Royal Highness by the Syed Miran Mohammed Shah, speaker of the Sind Assembly. The question of payment of the Sukkur Barrage debt was the principal subject of talk at the function. Mr. Nichaldas Vazirani, Minister in the Sindh Government said to His Highness, "You gave birth to the Sind Province. We look to you to take care of us and use your influence with the high-ups in England, including the Secretary of State, so that Sind may be relieved of the burden of the Barrage Debt." Mowlana Sultan Mohamed Shah and Begum Andree Caron visited the Young Maharaja George Jivaji Rao of Gwalior shortly before their departure for Europe at the beginning of 1939. Mowlana Sultan Mohamed Shah visited the state of Jamnagar in Kathiawar in February 1939.